Following midwives voting on Friday overwhelmingly YES to a pay settlement, the Midwifery Workforce Accord was signed today in Wellington. 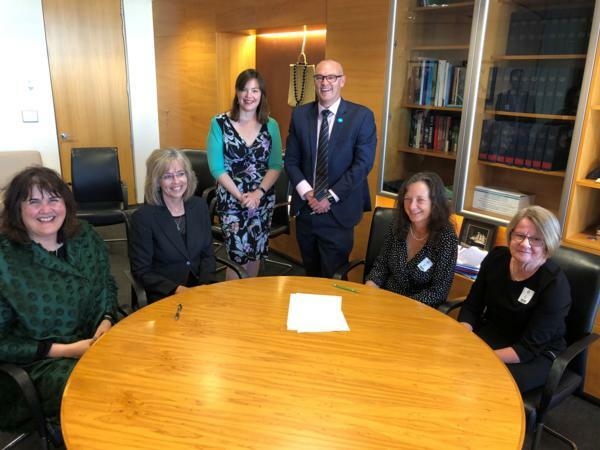 Jill Ovens (Industrial Co-Leader) and Caroline Conroy (Co-Leader Midwifery), met with Minister David Clark and Minister Julie Anne Genter, where the Accord was signed at Parliament. 1007 DHB-employed MERAS member midwives, voted in the DHBs MECA ballot that closed on Friday 12 April. 965 voted YES and 42 voted NO, a 96% YES vote from those who voted. This includes 67 special votes cast by email. There was a very high turnout with 83% of members voting, by far the majority voting in their workplaces.